Storytelling is one of the abilities that makes humans special. People in communities preserve memories, entertain one another and explore truth through stories. The bible can be viewed as God's love story of involvement with humanity since the beginning of time. It uses true and imaginary stories and poetry to convey truth. Drawing on this rich heritage, this department thoroughly prepares missional leaders to enter the two contemporary areas of film and theatre to tell the biblical story through creative new dramas that powerfully engage people in their culture and contexts. Why Film & Theatre Studies? 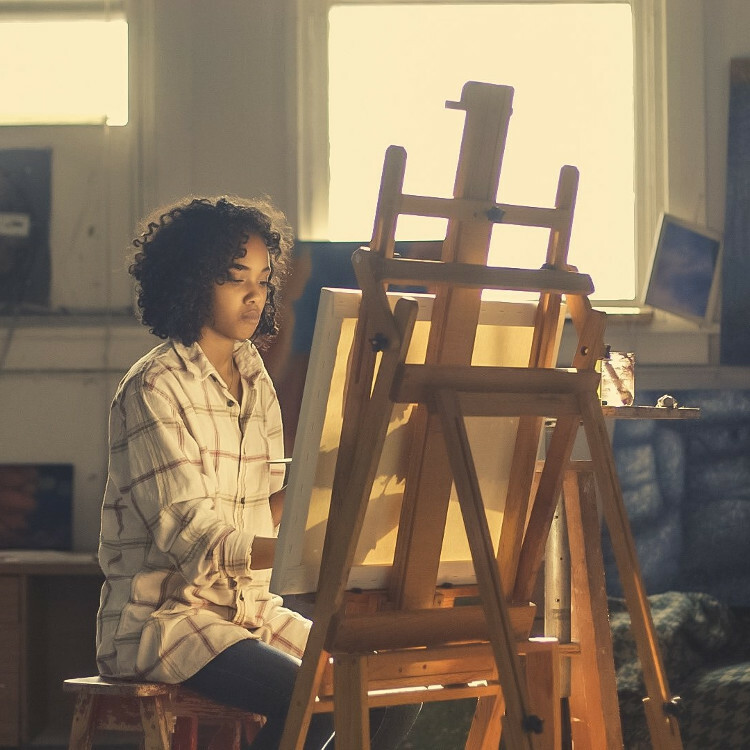 Going beyond entertainment, film and theatre offer a unique way to carry the truth of God's message of redemption through drama, acting and story-telling. In some ways, film and theatre are some of the most powerful forces for shaping thought in the modern world. 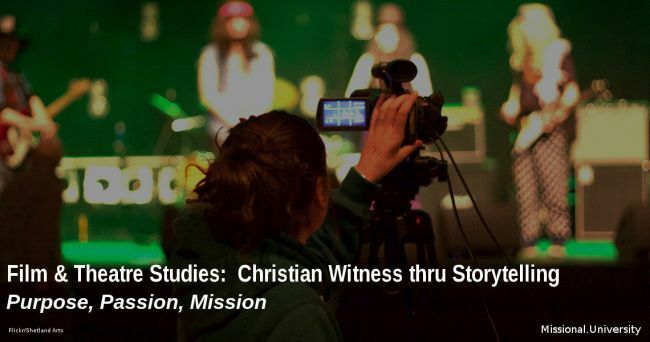 Missional people who develop and master their creativity in film and theatre can move into a position of powerful influence for the gospel in a wide spectrum of venues. Jesus told many stories, illustrating spiritual truth with word pictures familiar to his audience. His approach engaged the imaginations and hearts of people, helping them to see God and his love for them more clearly. Telling stories through the creative drama of film and theatre follows the example of the biblical writers and offers promising ways to touch people globally. The missional movement of Christ seeks to make disciples of all the nations (people groups), many of whom because of limited access have still not had an effective gospel witness. In the current era, film and theatre are making stunning inroads to people and places formerly inaccessible. Studies in film and theatre deepen students' commitment to and application of mission to all the nations with special attention to using the creative art of storytelling. Film and Theatre studies include cultural observation and analysis so students can apply their skills to communicating interculturally. While the art of storytelling is universal, it's application and contextual forms are not. A complete education in film and theatre requires awareness of the variety of local creative expressions available across the globe and how to best communicate within those local contexts. Missional film and theatre art is hands on and always moving toward getting the message into the hands and hearts of more and more people globally. Practical issues that this department covers include funding costly equipment, leadership, mentoring, budgeting, maintenance and sustainability as well as production and application. The use of film and theatre is not a substitute for personal relationships in ministry. Therefore the department holds high expecations for students to keep balance in their spiritual journey and reflect within the community of practitioners about their growth.